I have mentioned in previous articles that, in addition to the writing I do for Bull Market Rodeo, that I also write articles for Seeking Alpha. Most of the articles I write for Seeking Alpha are earnings previews—breaking down the whole picture of the stock ahead of the earnings report. When I say whole picture, I am talking about the fundamentals, the technical analysis, and the sentiment analysis. 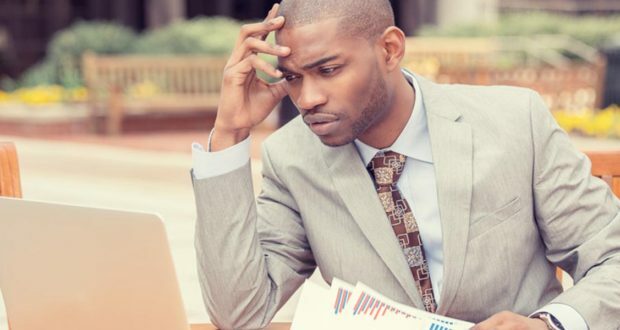 I often find my articles are criticized for focusing on technical analysis or sentiment analysis too much, but if you asked me the sentiment means more than the other two analysis styles when it comes to the earnings reports. How often have you seen a company report earnings that beat estimates, issue a stellar forecast, and yet the stock falls after the report? I know personally, I see it all the time. Why do you think that is? My answer is that it has everything to do with the sentiment toward the stock. If you look at the title of this article, I believe there is a big difference between analyzing a company versus analyzing a stock. When I am looking at a company, I look at the fundamental indicators. I pay specific attention to earnings and sales growth, return on equity, and the profit margin. These indicators tell me whether the company is growing or contracting and they tell me how well the company is managed. I am not a forensic accountant, and I don’t delve deeply into the financial statements of a company. I am an analyst, not an accountant. There are plenty of accountants out there studying the nuances of company earnings reports. I look for differences between how the company is performing versus how the stock is doing. As for analyzing a stock, I believe you have to look at the technical analysis and the sentiment in addition to the fundamentals. I look for patterns in the chart. I look at the moving averages to see where the stock is in relation to various moving averages. 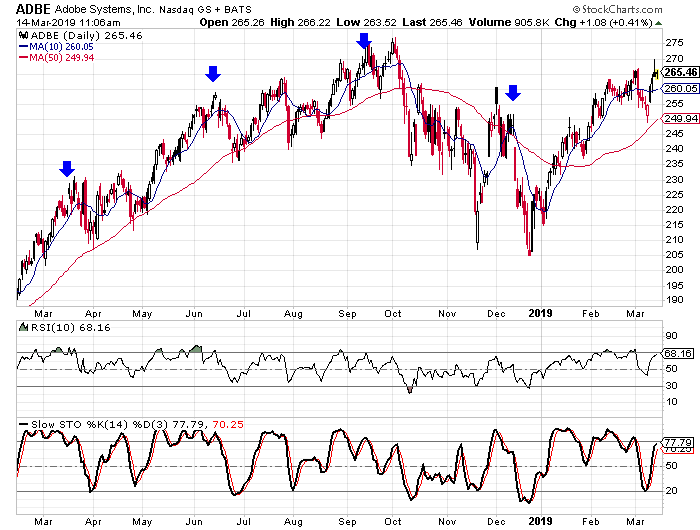 I also look at different indicators to see if the stock is overbought or oversold and what has happened in the past when it was overbought or oversold. For the sentiment analysis, I look at the short interest ratio, the analysts’ ratings, and the put/call ratio. When looking at these indicators, I am looking for extremely high levels of optimism or pessimism, and I view them from a contrarian viewpoint. But I am not contrarian for the sake of being contrarian. If a company has strong fundamentals, is in an upward trend, and there is pessimism toward the stock—that is the perfect scenario to me. The company is doing well, the stock is doing well, and there are investors that doubt the stock can keep going and that leaves investors on the sidelines that can turn bullish and help the trend continue. 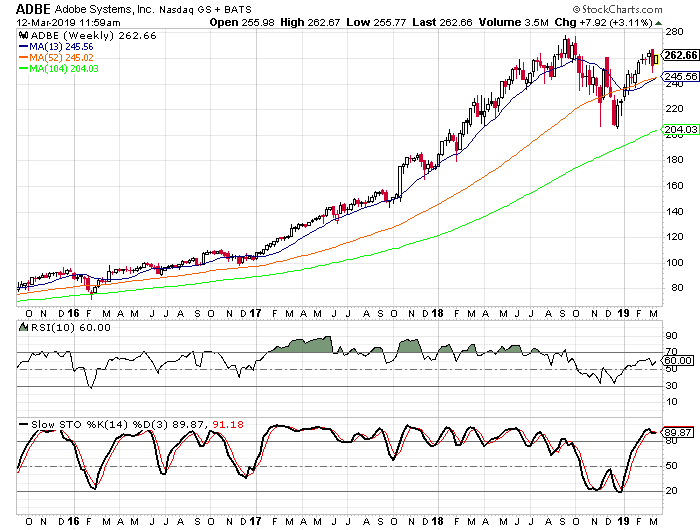 The most recent article I posted on Seeking Alpha is a perfect example of what I am talking about when it comes to analyzing a stock versus analyzing a company. The company is Adobe (Nasdaq: ADBE) —the software firm that most of us are familiar with thanks to products like Acrobat, Photoshop, and Flash. Adobe as a company seems to be doing extremely well. The company has averaged earnings growth of 48% per year over the last three years, and it saw earnings grow by 45% in the fourth quarter of 2018 compared to the fourth quarter of 2017. Sales have grown at a rate of 24% for the last three years and sales were up by 23% in the fourth quarter. In addition to the earnings and sales growth, Adobe’s management efficiency measurements are really strong. The ROE is at 37.8%, the profit margin is at 39.6%, and the operating margin is at 31.5%. Strictly from a fundamental perspective, I like Adobe. That being said, the sentiment and the technical analysis tell me that I shouldn’t buy the stock ahead of the earnings report. Let’s look at the sentiment first. Right now the sentiment toward Adobe is pretty bullish, and that sentiment is warranted based on the fundamental performance of the company. However, in the last few months the sentiment has been growing more and more bullish. The short interest ratio has fallen to 1.75 after being at 2.31 in mid-February. The number of shares sold short has dropped from 6.3 million shares to 4.6 million shares. I consider short interest ratios above 4.0 to be relatively high, readings between 2.5 and 4.0 as average, and readings below 2.5 are leaning toward the bullish side. A reading of 1.75 is pushing toward the extremely low reading. Like the short sellers, analysts have become more bullish in recent months. There are currently 31 analysts following Adobe and 25 of them have the stock rated as a “buy” while the other six rate the stock as a “hold.” This means that 80% of analysts have the stock rated as a buy and that is higher than most companies. Again the bullish sentiment is warranted based on the fundamentals, but there has been a pretty sizable shift in the last few months. 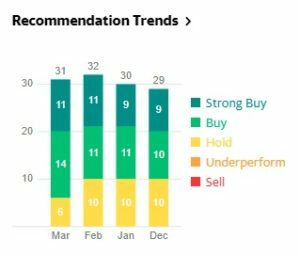 According to Yahoo Finance, there were 29 analysts following Adobe in December and 19 were “buy” ratings while 10 were “hold” ratings. This means that there are six more buy ratings and four fewer hold ratings. This is a very unusual shift for analysts. So the sentiment toward Adobe is bullish and has shifted to a more bullish stance ahead of the earnings report. This tells me that expectations are getting higher and higher. Finally, let’s look at the technical picture for Adobe. The stock has been trending higher for a number of years now. Yes, the stock dipped in the fourth quarter with the overall market, but it never fell below or got close to its 104-week moving average. The stock has bounced back sharply since the low in December and that has put the weekly stochastic readings in overbought territory. This is a minor concern because it is overbought, but we see that the indicators were in overbought territory for most of 2017 and the first half of 2018. A bigger concern for me than the overbought level of the stochastic readings is a pattern in the stock following earnings reports. After each of the last eight earnings reports, Adobe has seen its stock fall for five to seven days. The company has beaten earnings estimates each time, but the stock did not respond in a positive way. We see the date of the last four earnings reports marked with blue arrows. This is a very clear pattern, and I think it is one that is easily explained. I think what happens is that investors get too excited ahead of the earnings reports and the stock moves higher. After the report is released, the excitement fades and the stock falls. Do I like Adobe as a company? Absolutely. Did I buy Adobe ahead of the earnings report? No, I did not. Will I look to buy Adobe a week from now? There is a very good chance I will. This is what I mean by analyzing a stock versus analyzing a company. Adobe as a company is doing great. The stock is a little overly loved right now, and the pattern for the stock falling after earnings reports indicate to me that the time to buy is not now, but a week from now.